These goats are from the old goat population found in southern Sweden and have received their name from the district of Göinge in the northern part of Skåne province. This breed of goat was formerly found all over the forested lands of southern Sweden. Origin: forest environments in southern Sweden. Procurement: Tyringe 1978 and Olofström 1993. 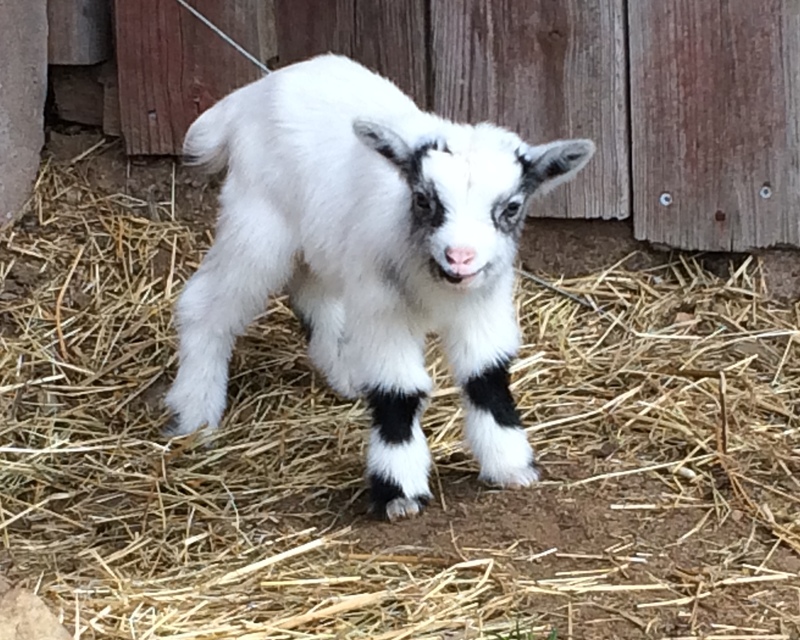 Weight: nanny goat/doe ca 35-70 kg, billy goat/buck ca 50-100 kg. 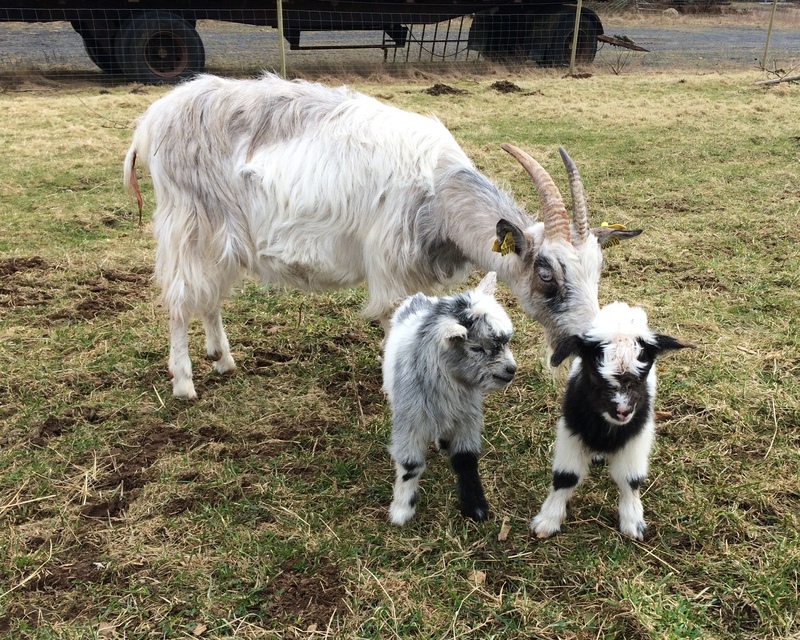 Withers: nanny goat/doe ca 55-70 cm, billy goat/buck ca 65-85 cm. To date the documented colours are grey, wildgame colour, black and white. Single-coloured animals can be found, but different nuances of white flecks are most common. Wildgame colouring is often found along with flecks, that is: black marks on the legs, back and near the Eyes. All of the animals have horns. Number of animals: 31 december 2015 there were 424 animals (101 bucks och 323 does) in 88 flocks. 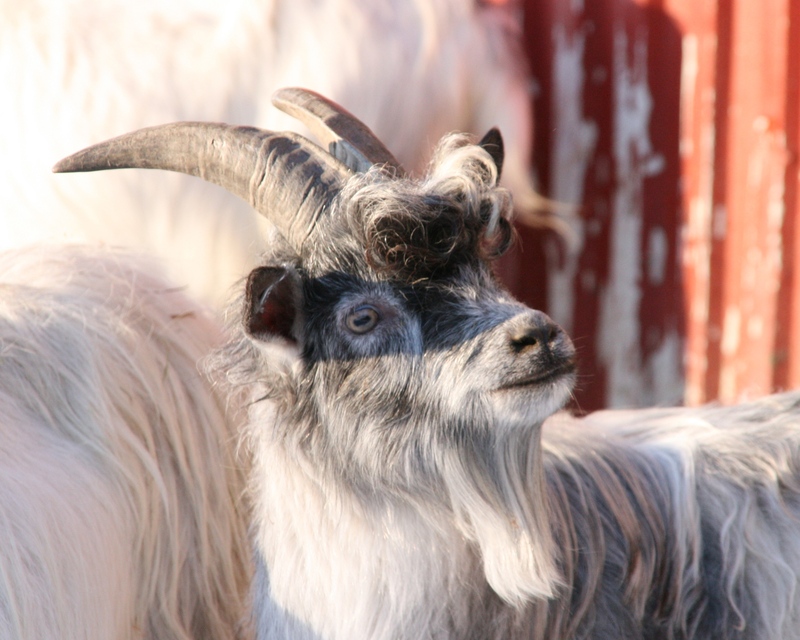 Göinge goats are one of three folk breeds. The goat is one of the very oldest domestic animals and was very common in Sweden in earlier years, especially in the forested areas. The goat is often called the poor man’s cow, because even poor families could afford to keep a goat for the milk. Goats gave hair, horn and meat for the household. They kept the landscape open by grazing undergrowth and bushes. They could even be used for farm work as they could pull small carts or wagons. Folk goats are local breeds that have not been kept pure. Such breeds are often referred to as country-folk breeds. They have adapted over the centuries to the local conditions and subsistence farming. They have never been purposely bred or cross-bred with imported animals to achieve certain breeding results. At the beginning of the 1800s there is said to have been more than 170 000 goats in the country but there are only a few thousand remaining today. Of these, the majority are breeds used for milk and only a few hundred are folk goats. Today we speak of 3 different local folkbreeds from different environments. The Göinge goat has adapted to the poor forest lands in southern Sweden, the Jämt goat has adapted to the summer pasture lands in the hills of mid-Sweden, and the Lapp goat has adapted to the reindeer pastures of northern Sweden. There are small differences in their appearances, but different colour combinations can be found even among folk goats. How do folk goats differ from the country breeds? 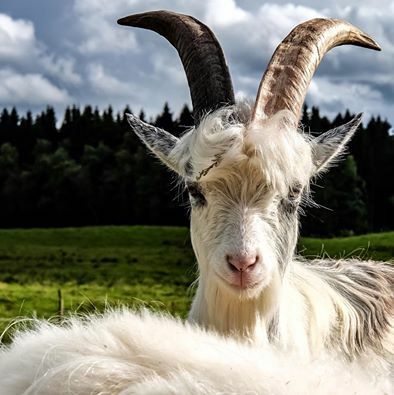 The goats producing large quantities of milk and even the partly hybrid goats that are often kept on large farms are called country breed goats or milkgoats. The breed is called Swedish country breed (Svensk Lantras) and they have been bred over the years to produce a lot of milk. They are often thin in the body but have very large udders.